Description: Bacon – Pronunciation [bey-kuhn] – the back and sides of the hog, salted, and dried or smoked, usually sliced thin and fried for food. Back for its 4th year, this festival is sure to turn some heads. 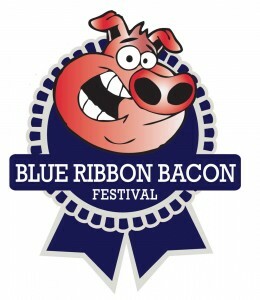 Whether you’re a bacon enthusiast or the loved one of a bacon connoisseur, this event is for you. 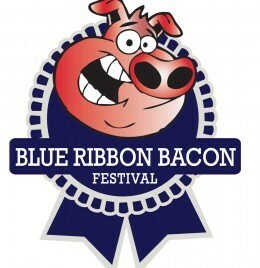 With thousands of pounds of bacon and bacon inspired cuisine at your finger tips you won’t want to miss this weekend long celebration of bacon. Along with bacon cuisine you’ll enjoy free live music. To quote the BRBT organizers, “Much like the Crusaders revolutionized the lives of Europeans by introducing a large variety of spices from the East, the Blue Ribbon Bacon Tour travels to places like Colorado to transform the lives of bacon lovers by introducing a variety of bacons and bacon-inspired dishes from around the world. Of course, we like to do all this while tossing back a few cold beers.” Be there! Parking: Free parking will be available in the River Run Parking Lot.